Check out Samsung Galaxy A9 Pro 2019 Specifications, Price in US/UK/Canada/India, features, pros and cons. Without waiting for the Mobile World Congress event, Samsung Mobiles has officially launched all new Samsung Galaxy A9 Pro 2019 smartphone. It’s a successor to Samsung Galaxy A9 Pro 2018 model and most specs are same as that of A8s phone. It primarily takes on OnePlus 6 smartphone. 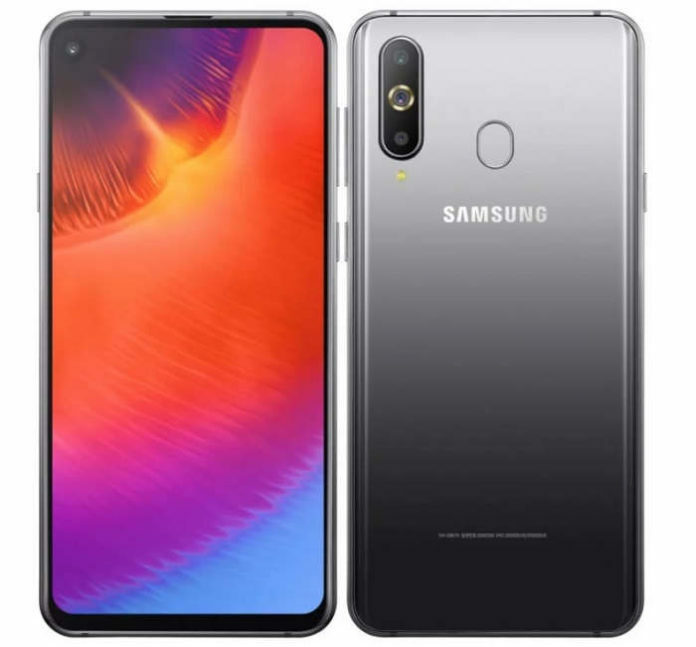 Going through the Samsung Galaxy A9 Pro 2019 specifications, the device comes with a 6.4 inch 2340 x 1080 pixels touchscreen display and has an aspect ratio of 19.5:9 with Infinity-O- punch hole cutout in the top left corner. Under the hood, the new Samsung Galaxy phone is powered by a Qualcomm Snapdragon 710 10nm chipset coupled with 6 GB or 8 GB of RAM and 128 Gb inbuilt storage. In terms of camera, it’s equipped with 10 MP telephoto lens and a 24 mega pixel camera + 5 mega pixel rear camera. It also has a dedicated Bixby button. It runs on Android 8.1 Oreo and will get Android 9.0 Pie upgrade and has 3300 mAh battery. As of now, no word has been said on the price of Galaxy A9 Pro 2019 model.